Greater power gains are achieved with a larger high performance intercooler. 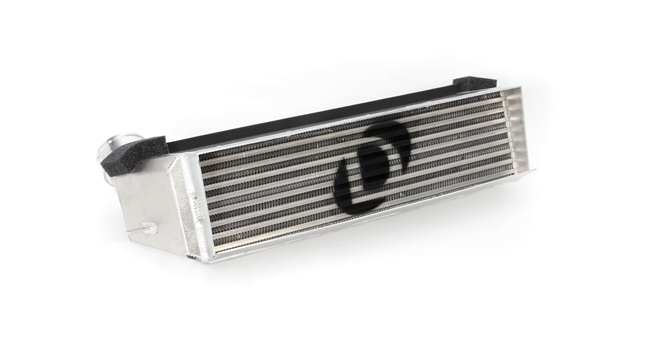 The Dinan intercooler offers double the volume of the stock unit, substantially reducing the pressure drop by 0.7 psi, as well as providing more efficient heat exchange. "Cool down" time is also reduced, enabling the cars to produce full power under varying driving conditions such as stop and go traffic. The system has been engineered as a direct replacement for the stock unit, requiring only minor modifications for a clean, factory-like installation. 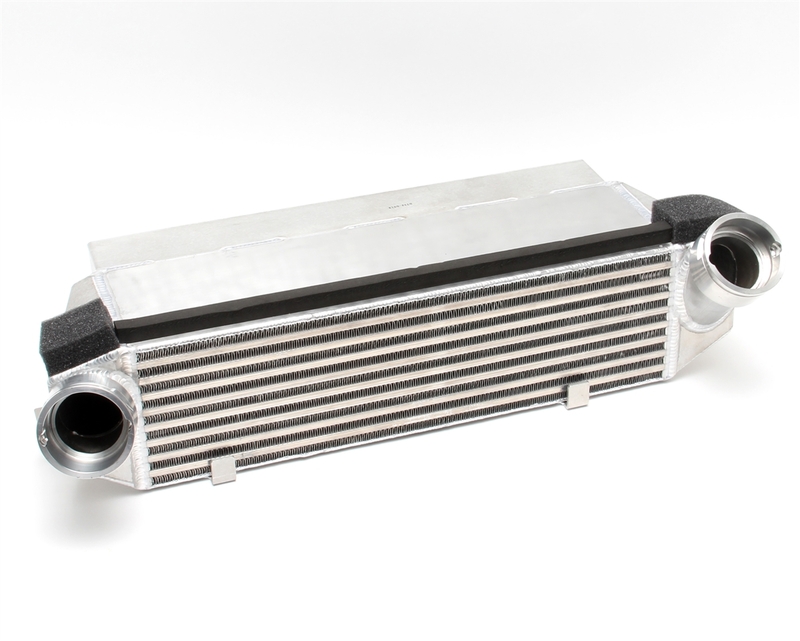 The intercooler also features larger connector tubing and custom shrouding for maximum efficiency. The intercooler has been designed for use in conjunction with Stage 3 Engine Software, further increasing boost pressure in order to take full advantage of the improved intercooler efficiency. *Dyno results for Stage 3 engine software; High Capacity Oil Cooler; Dinan Intercooler; Free Flow Exhaust.